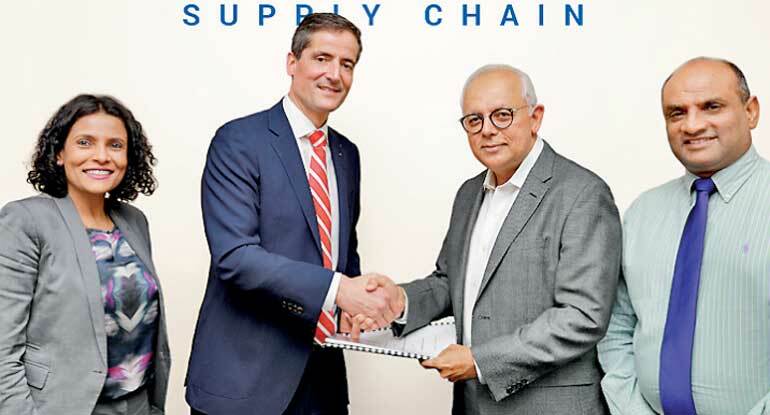 Hellmann Worldwide Logistics(HWL)and MAS Holdings established the joint venture Hellmann MAS Supply Chain (HMSC) in Sri Lanka by combining Hellmann´s existing contract logistics business in Sri Lanka and in-house logistics activities of MAS. With the formation of the new JV, the existing HWL business in Sri Lanka transitions into a focused air and sea unit, whilst the new JV will provide contract logistics and Fourth Party Logistics (4PL) services in Sri Lanka. In addition to the existing Hellmann contract logistics business in Sri Lanka being transferred to the new joint venture, a new fashion logistics facility will be opened at the MAS compound in Katunayake Export Promotion Zone (KEPZ). It is the vision of HMSC to create a pull model supply chain using Sri Lanka as the hub for major global fashion brands, help produce market specific products by offering value-added services and facilitate an e-commerce channel from the source. HSMC will also manage the procurement and coordination of MAS’ incoming air freight. HMSC will provide its services to MAS as well as Hellmann’s existing contract logistics customers. Services offered by HMSC, which include warehousing, value added services such as re-packing, labelling, ratio packing, etc. and 4PL logistics services, will also be offered to other potential customers in Sri Lanka. Since its foundation in 1871, Hellmann Worldwide Logistics has developed into one of the largest international logistics providers. The company is represented by a worldwide network of 19,500 people in 437 branches in 162 countries. The Hellmann Group generate sales of around EUR 3 billion in 2016. The range of services includes the classic forwarding services by truck, rail, air and sea freight as well as an extensive range of services for CEP services, contract logistics, industry and IT solutions. In 1987, Mahesh, Ajay and Sharad Amalean introduced lingerie manufacturing to South Asia and there began the MAS legacy. Today, MAS manages a portfolio of businesses with a revenue of $ 1.75b and is positioned as one of the world’s most recognised design to delivery solution providers in the realm of apparel and textiles. It is also the largest apparel and textile manufacturer in South Asia. The organisation is headquartered in Sri Lanka and employs over 90,000 associates in 53 manufacturing facilities in 17 countries. Its portfolio also includes design centres in key fashion hubs across the globe. Its seamlessly integrated supply chain that is balanced to perfection with the organisation’s strategically placed design houses gives MAS the knowledge, the means and the speed to deliver what is demanded by the industry. MAS Holdings is proud to hold a global reputation for its ethical and sustainable working environment. Its tireless effort towards women’s empowerment has put MAS on the map as a global standard to aspire to. The concept of new thinking at MAS breaks the norms of innovation as the world knows it. Re-engineering, re-thinking resource utility. Exploiting processes and the relentless pursuit of excellence is the MAS lifestyle. The nurturing of people, their passion and their ideas has evolved MAS from a business organisation to a global community which partners with some of the world’s foremost brands in fashion and style that is timeless.